Google looking to add Always On ambient display to new Pixel models? A string discovered by XDA Developers reveals that Google will be adding an Always On ambient display to the next generation of Pixel devices. The feature allows users to see important information on their screen without having to touch the phone or look for a notification to appear. This was originally found on the 2013 Moto X as the Moto Display. Eventually, it was added to the AOSP meaning that any Android device with the appropriate hardware can offer it. Over the years, new capabilities have been added to the ambient display, but never an Always On feature. One reason was the heavy battery consumption that an Always On screen suffers from. But Samsung has been able to improve the battery consumption on an Always On OLED display, which means that the Alphabet subsidiary is considering adding such a feature to its Pixel sequels. 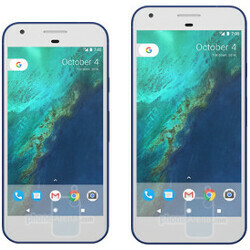 A Pixel handset running the Developer Preview 3 version of Android O revealed a string that mentions the word "doze." This has nothing to do with the Android feature that keeps apps from running in the background on a sidelined Android handset. Instead, doze happens to mean an ambient display. Thus, the string of code has to do with a switch that toggles on the Always On ambient display. Other parts of the code indicate that keeping the Always On ambient display running is basically an experiment. And while the string does indeed exist on Developer Preview 3, the feature is not yet available to use. In Android O, the ambient display shows the icon of a notification instead of showing off the full text. It also prevents the ambient display from working if the proximity sensor is covered up. Nice, Android just keeps getting more and more feature rich. Both platforms are getting more and more feature rich.